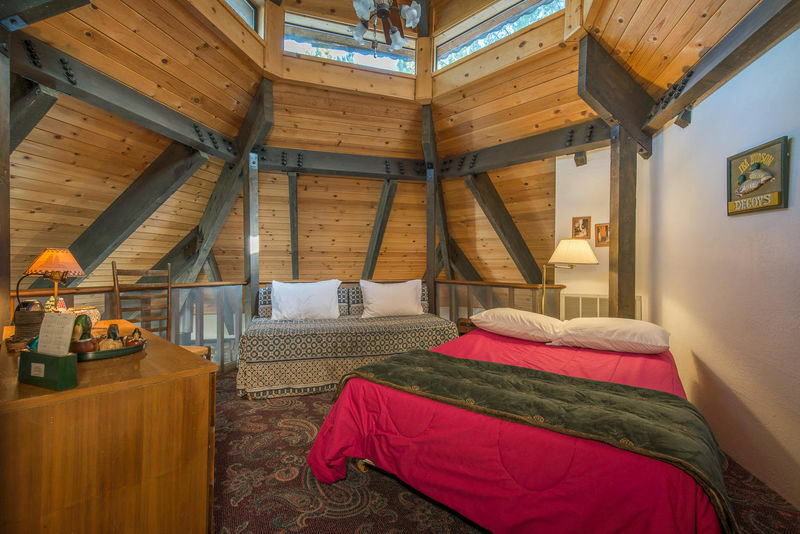 This property is an architectural rarity, with a fun hexagonal shape and three stories of living space. 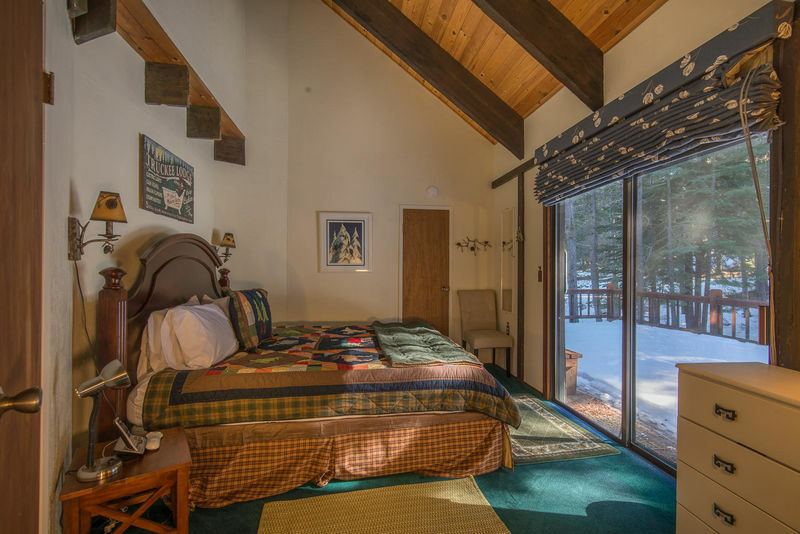 Don’t let the outside fool you - this house is roomy inside, with enough separation between the lower level bedrooms and second-floor living space to ensure even light sleepers can get a good night’s rest. 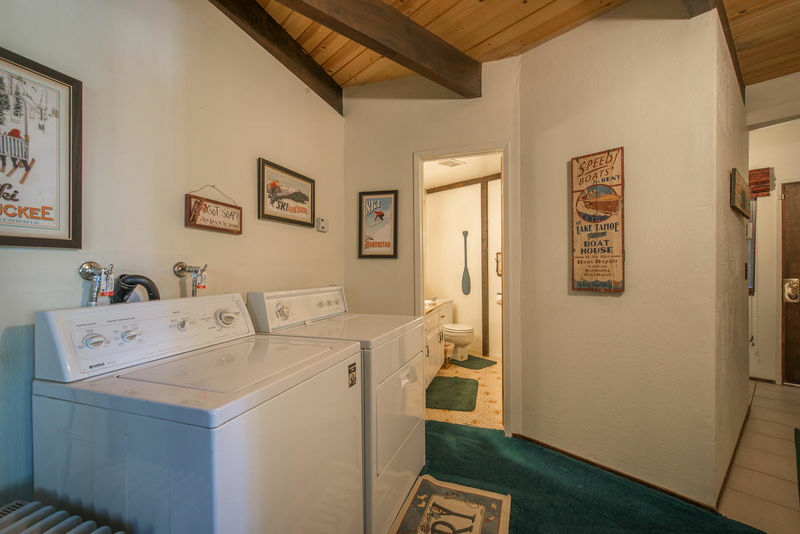 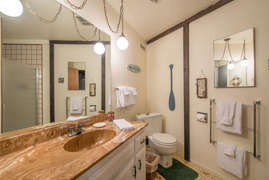 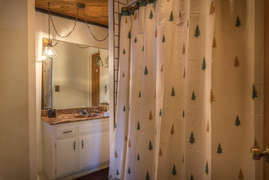 The first floor features two bedrooms and a large full bath, as well as a washer and dryer. 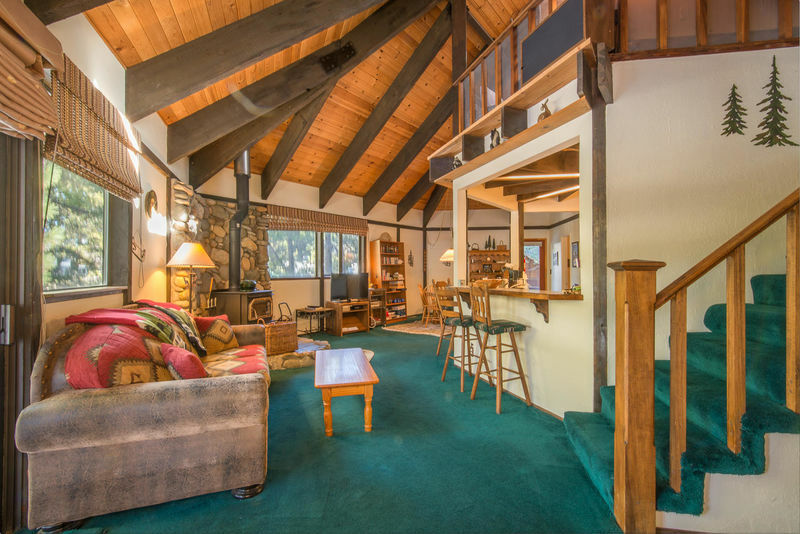 Step up the plush green stairs, and be welcomed into the uniquely designed living room. The central kitchen is open on multiple sides with a four-person breakfast bar, making conversation a breeze even when some people are cooking while others enjoying a little R&R. 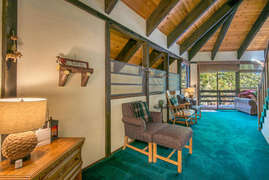 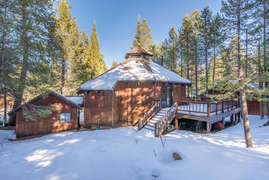 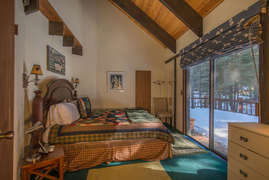 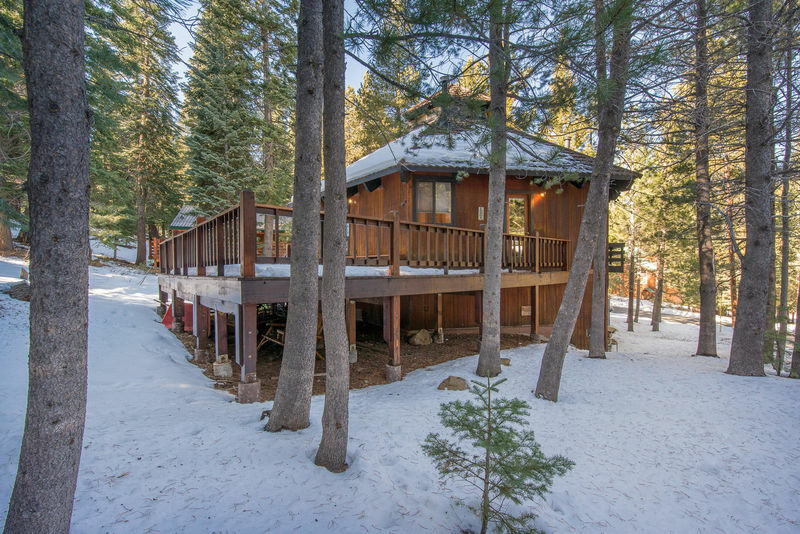 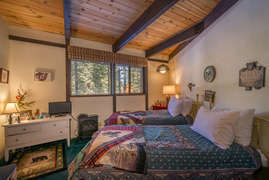 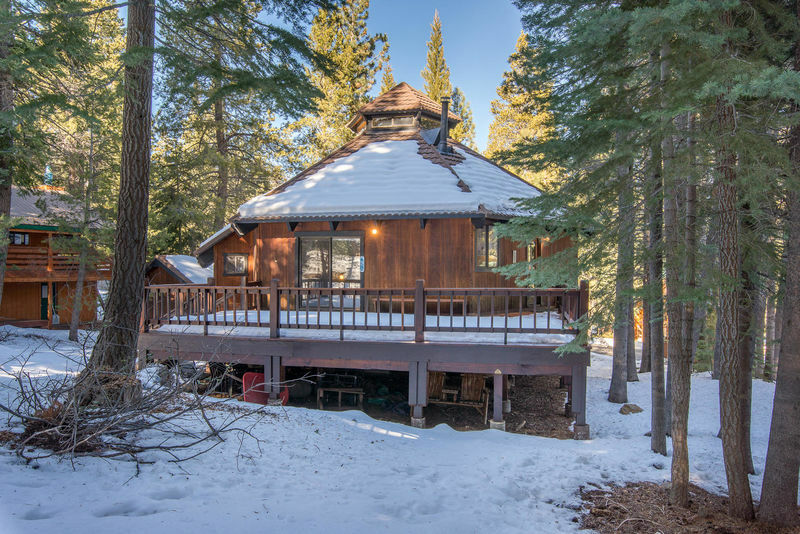 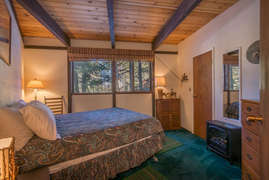 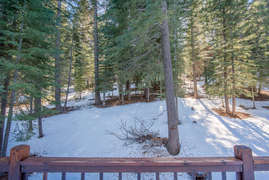 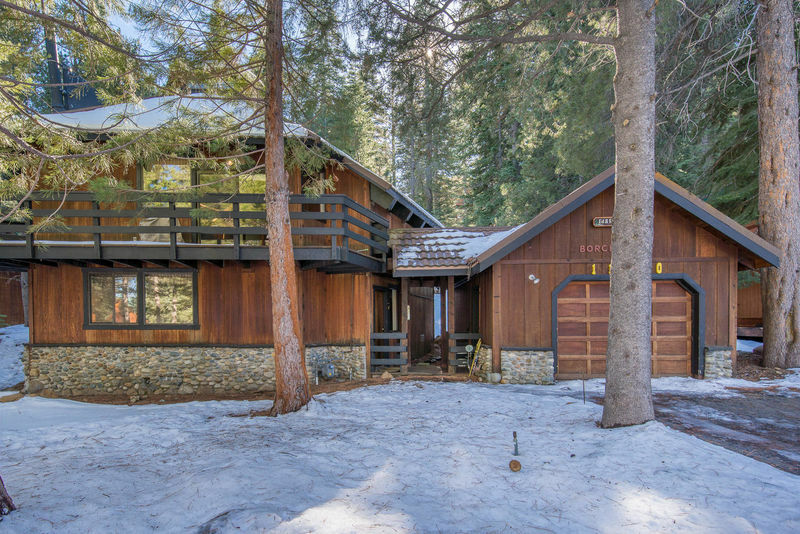 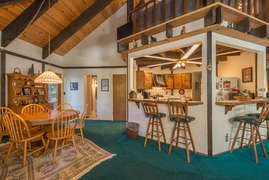 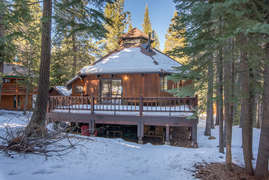 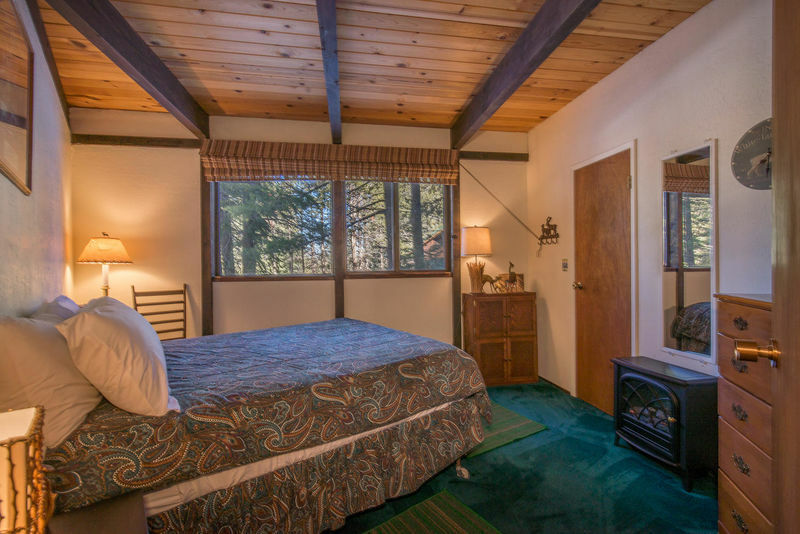 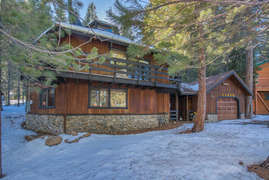 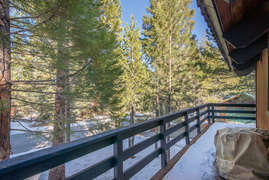 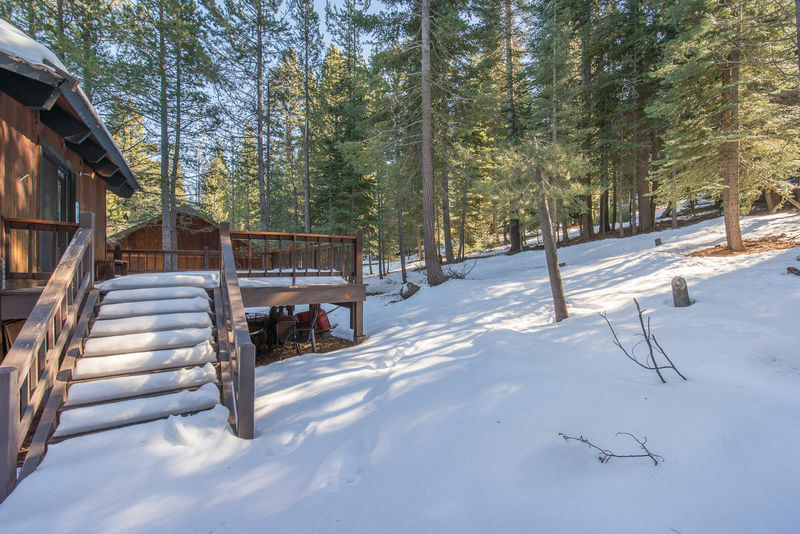 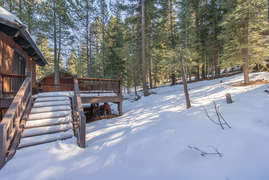 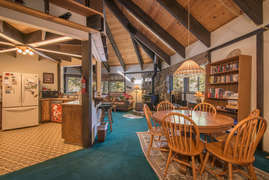 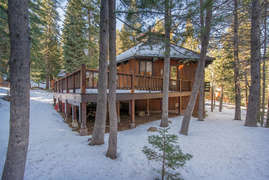 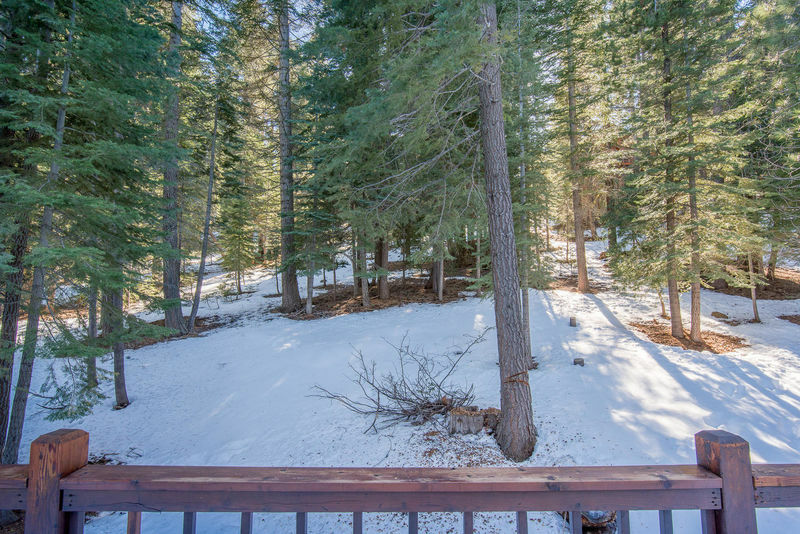 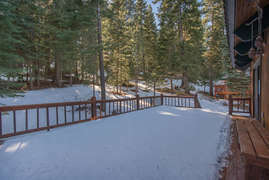 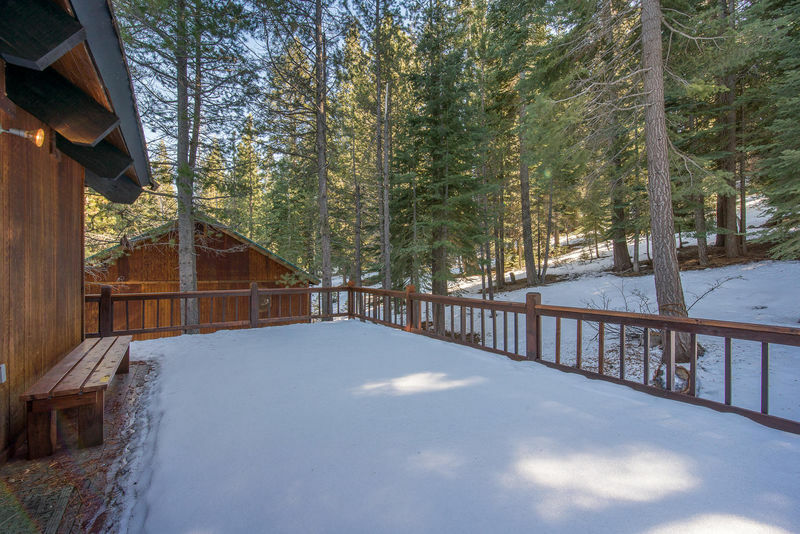 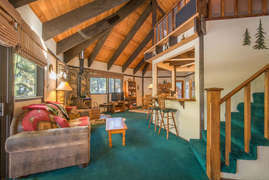 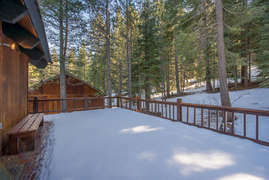 The wrap-around living room opens to a large front deck and a massive back deck, which faces a large, private wooded space - great for spotting Tahoe wildlife. 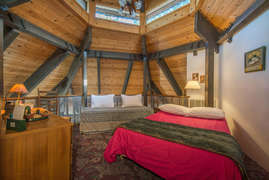 From the second floor, head up a second staircase and you’ve entered the home’s third-floor, semi-private loft that kids will love, furnished with an additional double bed and couch that can convert into a twin bed. This loft has excellent light from the vaulted, skylighted pinnacle of the ceiling directly above the space. 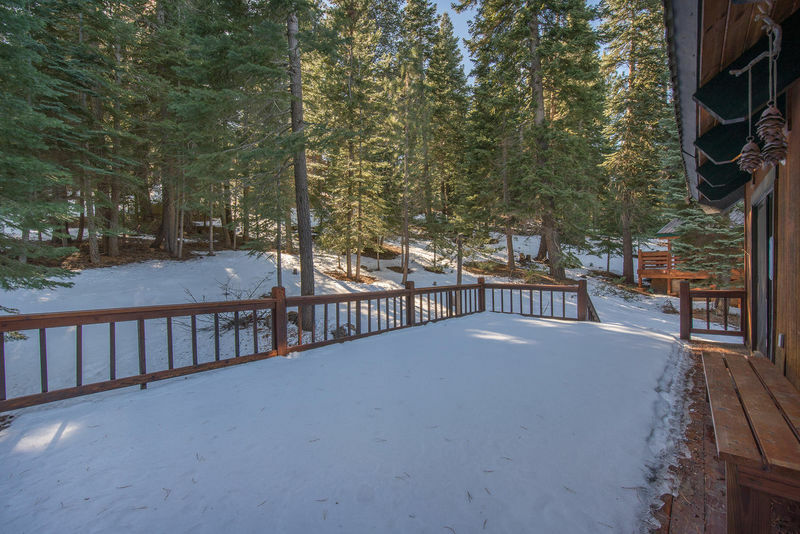 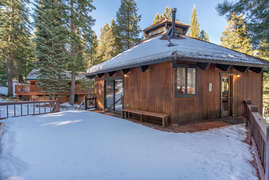 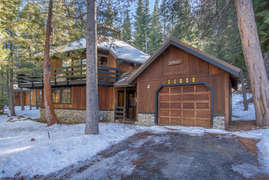 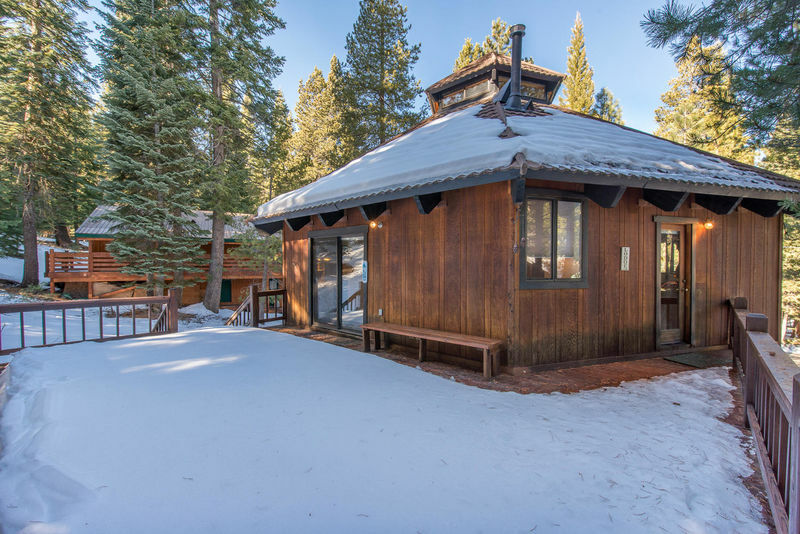 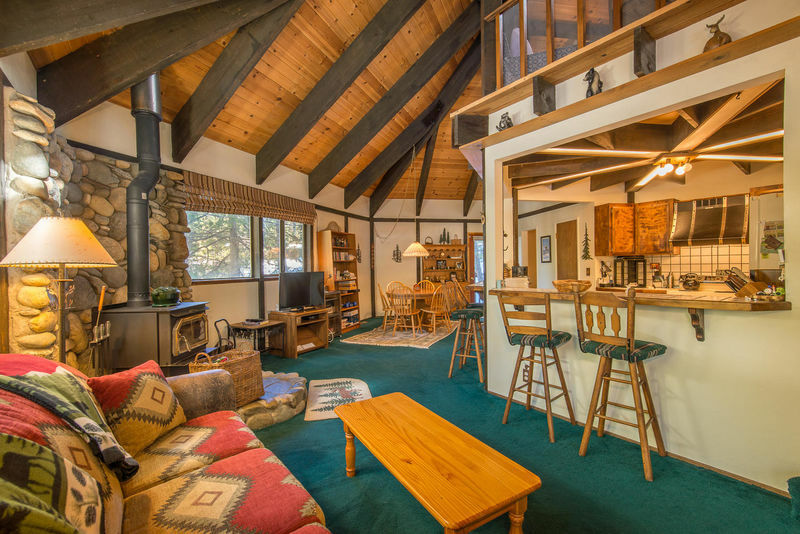 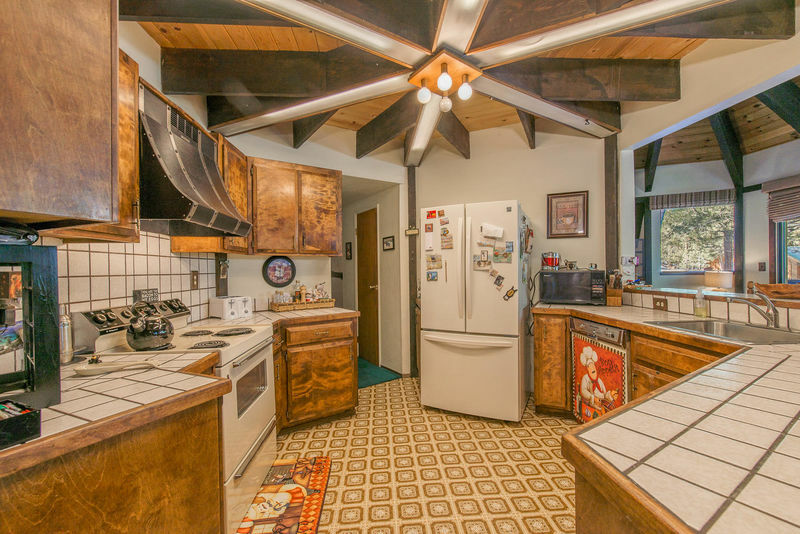 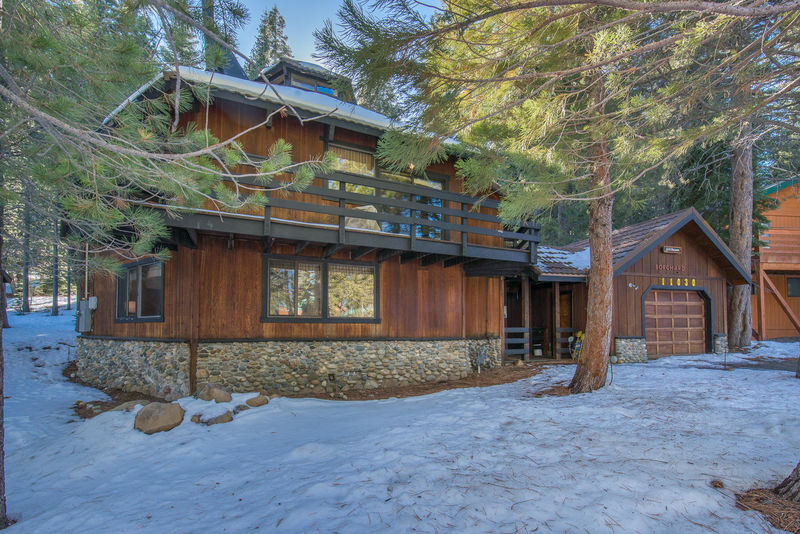 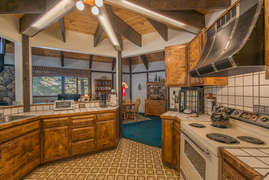 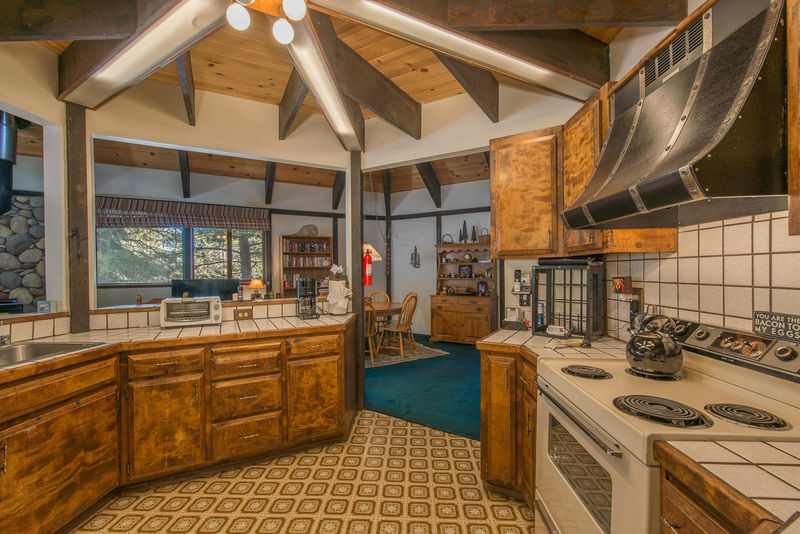 With tons of indoor and outdoor living space, this home has the vintage mountain feel Tahoe is known for and is perfect for your next summer or winter getaway.